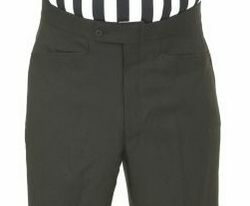 All Smitty Referee Pants are constructed with 100% Dacron Polyster. FEATURES: Smitty Comfort 3" Grip Waistband - Button Tab Closure - Button Loop on Left Back Pocket - Heavy Duty Zipper - "Fit by and for the Pros". Sizes: 4 - 20. Available in Black Only.